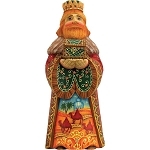 Start or add to your holiday heirloom collection with these unique Russian hand-molded, hand-painted pieces for Christmas nativity scenes. Most are limited edition pieces. Some have already been retired, so get yours before they're gone forever. Most of our Derevo collection is a limited edition. Each Limited Edition collection is unique, hand painted, and signed and numbered by the artist. 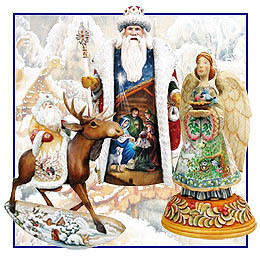 Each collectible comes with a gift box or authentic logo on ornaments and a numbered certificate, certifying that your edition is an Authorized G.DeBrekht Artistic Studios Creation.